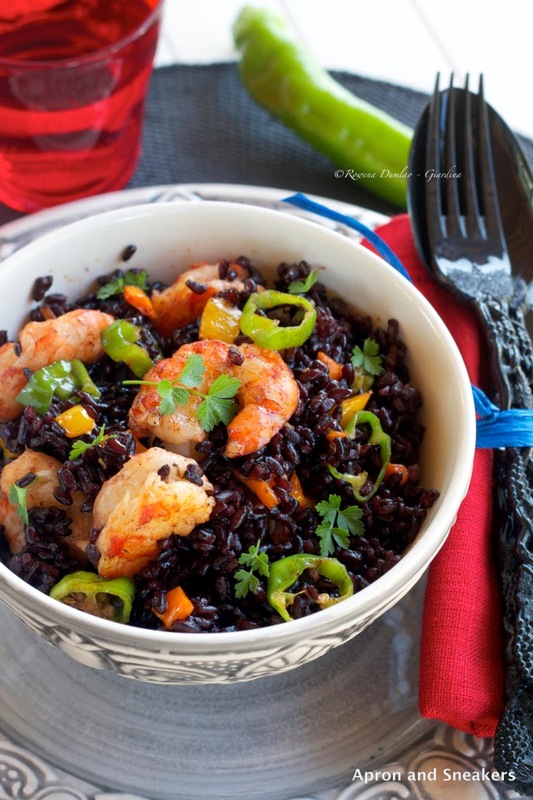 The first time I encountered black Venere rice at the supermarket, I was able to read what's written in the package for at least a couple of minutes. What's the big deal about it, you may ask. You see, when you have two active children with you at the supermarket, you have this perennial fear of losing a child to lurking bad people who just happen to like showing the kids to the exit without the parents' knowledge or hearing breaking bottles somewhere in the supermarket. I have both fears, don't you? 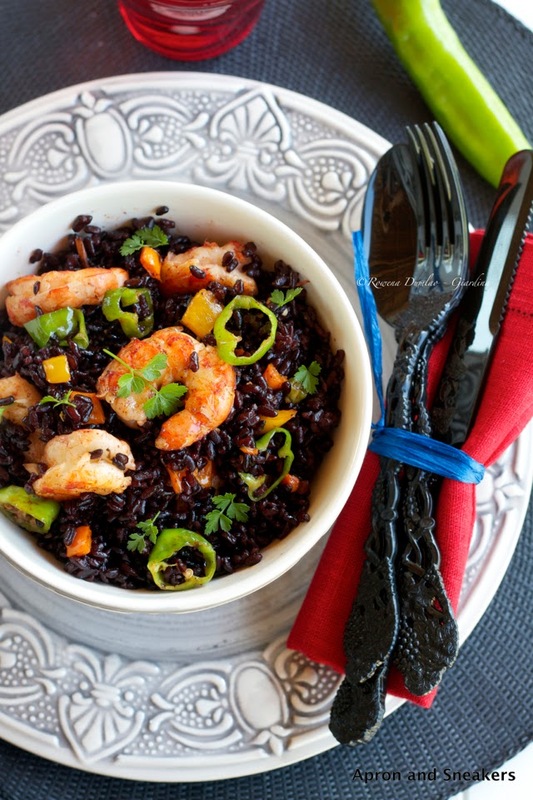 So when I first encountered the box of black rice, I was grateful to have had a couple of minutes to myself and the rice because at that time, my daughter was still confined to her stroller. At a few months old, she was still too little to venture by herself around the aisles. Her brother, on the other hand, was in school. So there! When I am in food shops before, it used to take me forever to finish shopping. I like discovering new stuff and reading the details about them. But when the kids were born, I lost that luxury of time. I grab the things I need as fast as I can and as a result, I often grab the ones that I didn't mean to buy or forget the main reason I was there in the first place. Slowly, food shopping is getting better, especially when I got rid of the stroller that also functioned as the only grocery cart I can use with the baby somewhere in the middle. A few more years and I will be able to read those labels again and spend unnecessary time loafing around the aisles. 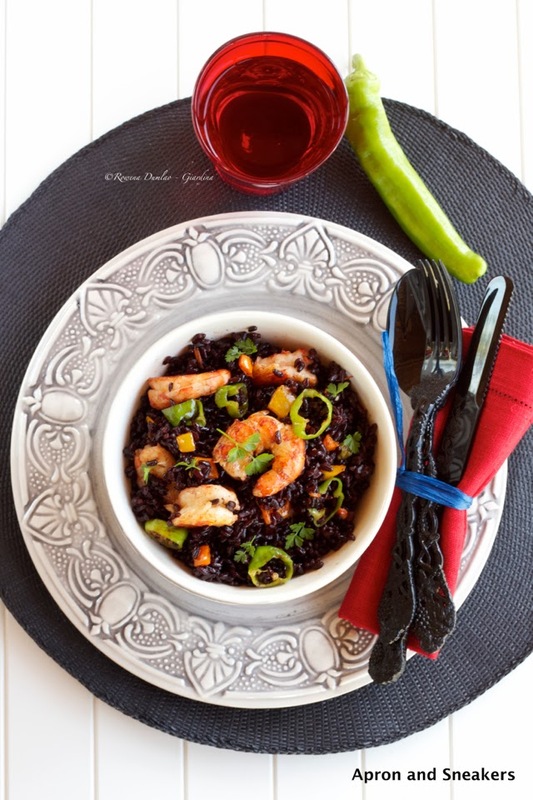 This Italian black Venere rice was born in the Po Valley and is a cross-breed between the Italian variety and Asian black rice. 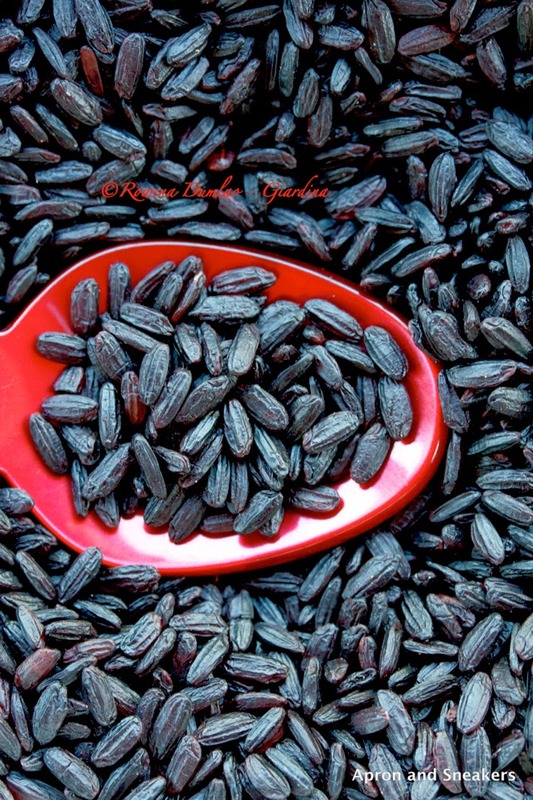 Black rice has been existing in China since 12800 B.C. and was cultivated only for the emperors and their courts until the 19th century due to its rarity. Production was scarce and the price is steep. It is rich in antocians, thus its natural black color. 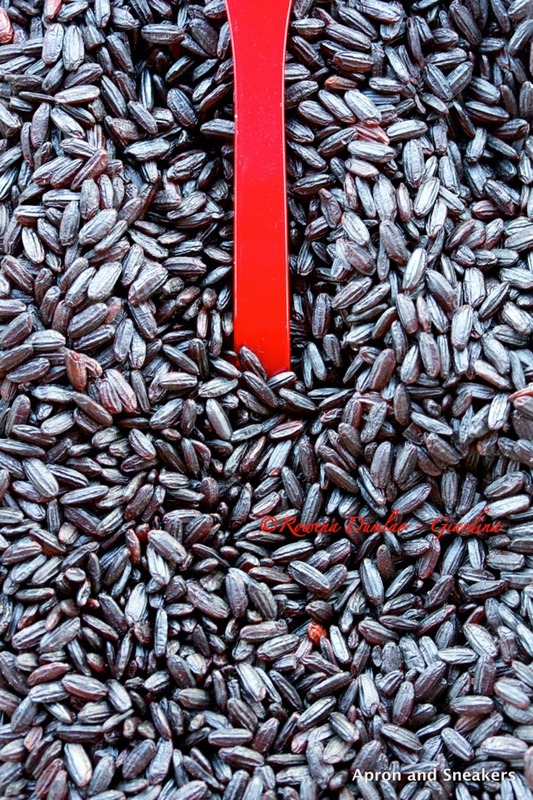 It's selenium and iron content are much higher than the normal rice which makes it good for our defense system. It's healthy, period. We can leave a some space in our diet for this nutty and aromatic rice. I've been using this rice in some recipes. To be honest, my kids are not so crazy about it because of the "strange" color for rice but for us adults, it's a gem on our table. In a saucepan with extra virgin olive oil, over medium heat, sautè the garlic. When it becomes golden brown, discard. Add the shrimp and the paprika. Toss until the shrimp are coated with the paprika. Add the peppers. Cook together for 5 minutes. Add the rice. Toss together for another 5 minutes. Season with salt & pepper. Garnish with the parsley.